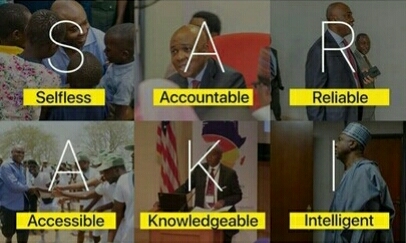 The Ovation publisher made an art work with His Excellency, Senator Bukola Saraki's name. The movement is beginning to gather momentum! 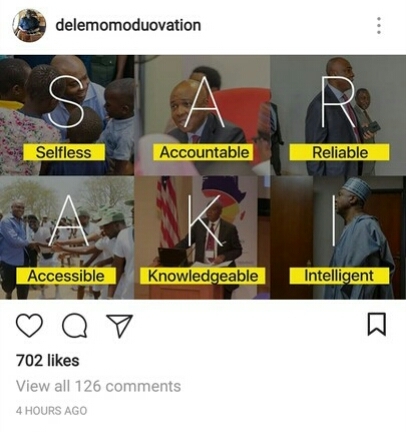 People are beginning to recognize the fact that Saraki is the unifying factor: a Notherner by political definition but Westerner by culture. A youth by age and experienced by qualification and pedigree. An epitome of resilience & resistance force against the old men and their ways; and a representative of compassion and youthfulness.